Nov 11th, one of the coolest haunts on the Hudson River and a rare 'Slambovian Underground' Duo show at Godfrey Daniels's Wed Nov 22nd (Thanksgiving Eve) in Bethlehem, PA. Joziah and Tink will mix up some magic for everybody, see you there! 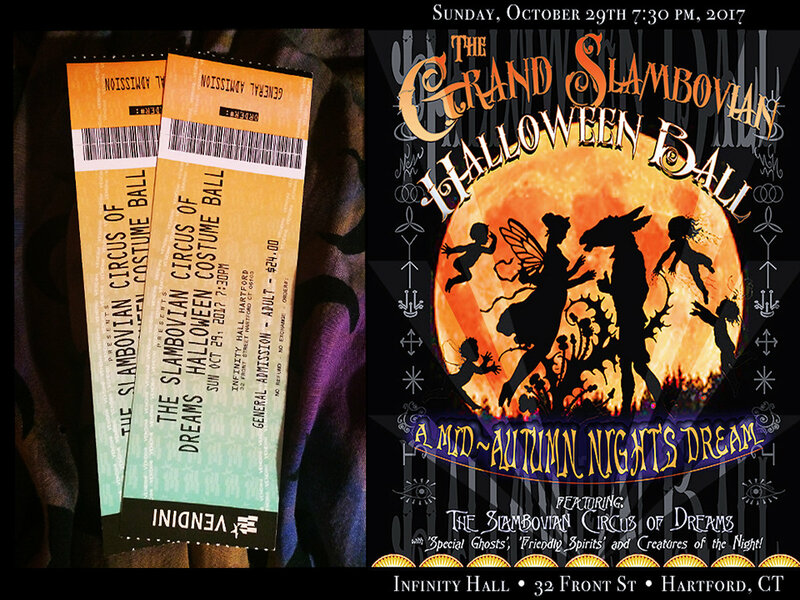 “A Mid-Autumn Night’s Dream”, 3 Chances To Celebrate Halloween in 2017! Last weekend’s really fun show was a ‘Facebook Live’ event from Daryl’s House. You can see what you missed, but not for long!